'Fortnite' players will get a new city in the popular video game soon. Epic Games released a big update for "Fortnite" on January 10. 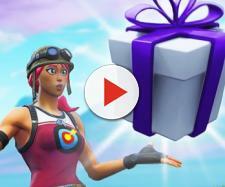 This was the second big update this year, and it added a unique item to the PvP mode of "Fortnite." Once again, the update affected both Battle Royale and Save the World modes, and it included a couple of changes along with bug fixes. The biggest addition was Cozy Campfire, which is a new healing item that is able to heal multiple players at the same time. Once again, the game developer announced a new update in the video game. This time, "Fortnite" Battle Royale players are very excited for the upcoming update as it will bring a new city! Not only that, but the island will get many new points of interest, which should make the game much more interesting. The best part? The update will also have an underground mine and players only have to wait one week for it! In late November last year, Epic Games published a developer update on their website. The development team talked about the changes that were being made to "Fortnite" Battle Royale, but one of those changes caught a lot of attention. Beside the new inventory and the announcement of limited-time game modes, players were excited to see that the developer would add a new city to the game. However, players haven't heard much about the new city for over a month. Finally, an Epic Games redditor broke silence on January 9 by responding to the post about the new city. Many fans wondered when the new city would be added to the game, and the redditor simply responded with "very soon." Now, the game developer officially announced the new city as a part of the update that will be released next week. "Discover a new city, underground mine and more in next week's update," is what the in-game description says. While "Fortnite" Battle Royale players already know what the new city looks like, they have no idea what to expect from the underground mine nor where it could be located. The January 10 update added Cozy Campfire item that allows multiple players to restore their health. The item heals players for 2 health points per second for 25 seconds and it was a Blue rarity. In addition, the game developer nerfed Boogie Bombs. Players affected by the bomb will now stop dancing after taking damage. Epic Games also fixed a few bugs with the update, including the bug that made players fall through newly built structures. Another bug that was fixed was the bug that prevented players to get a hit marker with snipers.